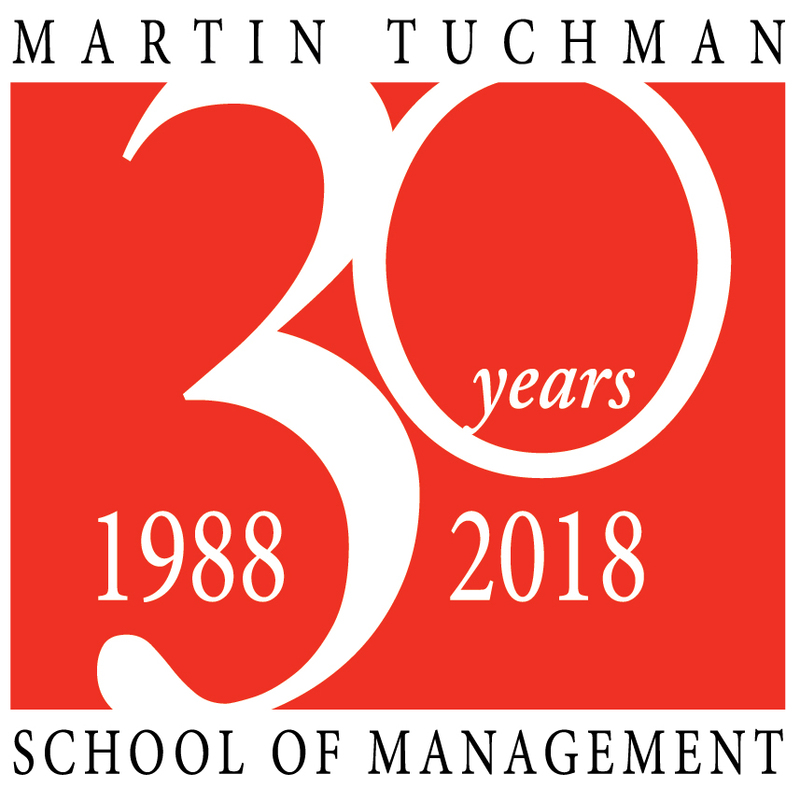 Michael Ehrlich, PhD, had an international business career before joining NJIT’s Martin Tuchman School of Management as assistant professor of finance. Ehrlich’s research focuses on financial markets and institutions, with an emphasis on market failures. He has written about the unintended consequences of financial market innovation with special attention to structured investment vehicles, the financial investment innovation which grew to more than $400 billion worldwide before collapsing in the 2007-2008 financial crisis. Journal of Business Venture, Advances in Financial Education, Journal of Corporate Accounting and Finance and Coller Venture Review published his views on the structure of financial markets, financial education, and new venture finance. He spent his last Wall Street years at Bear Stearns as senior managing director of the emerging markets fixed income business. Earlier stints included positions of increasing responsibility at Lehman Brothers Kuhn Loeb and Salomon Brothers, where he worked in the Government Arbitrage group with John Meriwether. Upon leaving Wall Street, Ehrlich started FineStar Imaging LLC, a small technology company that specialized in document production and management. He sold FineStar in 2007. Today, along with teaching, Ehrlich participates in NJIT’s small business incubator program, the Enterprise Development Center (EDC). Ehrlich, who belongs to the New York Angels, works with start-up companies. His current research focus is on the commercialization of technology and new venture finance. He Co-Directs the New Jersey Innovation Acceleration Center (centers.njit.edu/njiac). •Developed and presented, with my SOM colleagues, a seminar to NJIT community on the developing financial crisis of 2007-9. Available on NJIT YouTube Channel. •Established and co-direct the New Jersey Innovation Acceleration Center, an NJIT outreach center whose mission is to help commercialize new technology and to help companies to speed their time to market and revenue metrics. U.S. EDA grant funded activities include education of North Jersey based entrepreneurs. •Established and advise the NJIT Innovation Acceleration Club to help students learn about entrepreneurship and commercialization of technology. •Established the New York Society of Security Analysts – NJIT Student Chapter. •With support from Capital One Bank, established and run the Newark Innovation Acceleration Challenge (NIAC), an early stage business model competition, which is open to Newark-based high school, undergraduate and graduate students. Now in its sixth year, this program has been expanded to include Newark community based businesses in partnership with GNEC, Rising Tide, Brick City Development Corporation, and others. •Established and run the NJIT Summer Innovation Accelerator Program, now in its fourth year, where student entrepreneurs can learn the Lean Startup Methodology and can launch their new business ventures. Winners of the NIAC are funded to participate in this program. We had 13 student teams participating this past summer. •Co-founded and am associate director of the Leir Center for Financial Bubble Research. With my colleagues we have contributed new ideas on the economic impacts of financial bubbles and have developed annual “Bubble Conferences” that have included many leading scholars. We just completed our fourth annual conference. •Established and co-produce the TEDxNJIT semi-annual conferences. These conferences feature industrial partners from IBM, Cisco, Forbes.com, Audible.com, and others in addition to NJIT students, faculty and administrators in each event and present “big ideas” as part of NJIT’s strategic initiatives. •Partnered with Capital One Bank to create and lead a summer program for “Student Bankers” to educate them on financial markets and institutions and to prepare them for college. Now including students from NY, NJ, and MD. •Worked with Professor Sylla and later led the Summer Financial Investment and Literacy Program for high school students. This program is designed to help Newark based students learn about finance and to prepare them to go to college. •In a grant-funded study conducted for the New Jersey Economic Development Agency, I carefully examined the tax credit programs offered by New Jersey to technology and bio-technology companies. This study develops a unique data set on the performance of the companies and makes an important contribution by developing theory and explaining why participating technology companies dramatically underperform participating bio-technology companies. •The failure of the mortgage market during our most recent financial crisis has led to a recent study where I have considered the structure of the mortgage transaction and developed practical proposals to develop new mortgage products that create stronger incentives to reduce risk and avoid foreclosure. This work is being developed within the Practitioner Demand Driven Academic Research Initiative (PDDARI) of the Financial Management Association where I was the NYC Chair. •In another outgrowth of work on the mortgage market, my co-authors and I am studying the overall structure of the mortgage market. In a response to the Federal Reserve Whitepaper of Jan 2012, I propose a path incorporating debt restructuring that might allow the government to exit the mortgage business while allowing the housing market to stabilize. • Ehrlich, M. and W.V. Rapp. (2013). “Structured Investment Vehicles” (pp. 29). In William V. Rapp (ed.) Boil, Bubble, Toil and Trouble. Seattle, WA. Kindle Direct Publishing. • Xu, W. and M. Ehrlich. (2013). “Financial Engineering: Balance Sheet Manipulation” (pp. 27). In William V. Rapp (ed.) Boil, Bubble, Toil and Trouble. Seattle, WA. Kindle Direct Publishing. • Parhankangas, A. and Ehrlich, M., “How Entrepreneurs Seduce Business Angels: An Impression Management Approach”, Journal of Business Venturing, 29(4), July 2014, pp. 543-564, peer review. • Ehrlich, M.A., Beauchamp, C.F., Sverdlove, R., Thomas, R., Stockman, M.G., “A Proposal to Improve U.S. Housing Market Incentives: A Response to the Federal Reserve White Paper of January 2012”, Journal of Applied Corporate Finance / A Morgan Stanley Publication, 24(4), Fall 2012, pp 33-45, editorial review with non-blind peer review. • Ehrlich, M.A., “Euro Housing Recovery : Why Did It Falter?”, Journal of Corporate Accounting & Finance / Wiley, 23(6), Sept/Oct 2012, pp 13-16, peer review. • Ehrlich, M. A.; Anandarajan, A., “International Lessons for U.S. Housing Finance”, Journal of Corporate Accounting & Finance / Wiley, 22(6), Sept/Oct 2011, pp 31-38, peer review. • Ehrlich, M.A., “2010 Financial Reform : A Guide for Corporate Treasurers”, Journal of Corporate Accounting & Finance / Wiley, 22(1), Nov/Dec 2010, pp 9-16, peer review . • Ehrlich, M.A. ; Anandarajan, A.; Chou, B, “Structured Investment Vehicles : The Unintended Consequences of Financial Innovation”, Bank Accounting and Finance, 22(6), Oct/Nov 2009, pp29-37, peer review. • Ehrlich, M.A. ; Anandarajan, A.; Fossaceca, M., “Solving Treasury Problems in an Age of Global Trade”, Journal of Corporate Accounting & Finance / Wiley, 20(6), Sept/Oct 2009, pp 55 - 64, peer review. • Ehrlich, M.A. ; Anandarajan, A., “Protecting Your Firm from FX Risk”, Journal of Corporate Accounting & Finance / Wiley, 19(6), Sept/Oct 2008, pp 25 -34, peer review. • Ehrlich, M.A. ; Anandarajan, A., “SIVs : Could You Survive a Financial Collapse?”, Journal of Corporate Accounting & Finance / Wiley, 19(4), May/June 2008, pp 27 -35, peer review. • The Babson College Entrepreneurship Research Conference is the premier conference for early stage entrepreneurial research in the world. • Parhankangas, A.; Ehrlich M.A., “If You Don’t Have Anything Nice to Say, Don’t Say Anything At All : How Blasting the Competition Affects Your Chances of Raising Business Angel Funding”, Babson College Entrepreneurship Research Conference, Fort Worth, Texas, Frontiers of Entrepreneurship Research, 2012, 14 pages, peer review. • Ehrlich, M. “The Financial Bubble Process: Implications for Prediction”, NBEA Proceedings, Fall 2104, pp.4. •The Babson College Entrepreneurship Research Conference is the premier conference for early stage entrepreneurial research in the world. • Parhankangas, A.; Ehrlich, M.A., “How Entrepreneurs Seduce Business Angels : Finding a Balance Between Overstated Expectations and Understated Aspirations”, Babson College Entrepreneurship Research Conference, Babson College, Babson Park, Massachusetts, Frontiers of Entrepreneurship Research, 2009, 1 page, peer review. • Chou,P.B; Ehrlich, M.A. ; Sverdlove,R., “The Central Bank and the Risk Sharing Network for Financial Institutions”, Rejected by Journal of Financial Stability, Under Revision. • Xu,W. ; Ehrlich, M.A., “Evaluating the Relationship Between Earnings Management and Financial Bubbles”, Manuscript in Preparation. • Ehrlich, M.A., M.Guilbault. “Financial Knowledge of High School Students: Effects of a Voluntary Summer Program”, Submitted to Journal of Consumer Affairs. • Ehrlich, M.A., “What Makes a Terrorist: Economics and the Roots of Terrorism” American Economist, 53(2), Fall 2009, pp 140-141, editor review. • Ehrlich, M. and S. Xu. “Media and Market Timing of Price Increases”, NJIT / Leir Bubble Conference, Ridgefield CT, September 20, 2014. • Ehrlich, M., “Examination of the Relationship Between Credit Spreads and Financial Bubbles”, NJIT/Leir Bubble Conference, Ridgefield CT, September 20, 2013. • Chou, P., Ehrlich, M., and Sverdlove, R. “The Central Bank and the Risk Sharing Network for Financial Institutions”, Financial Management Association, Atlanta, GA, October 19, 2012. • Ehrlich, M.A., “Realignment of US Housing Market Incentives : A Response to Federal Reserve Whitepaper of Jan 2012”, Leir Bubble Conference/Leir Center for Financial Bubble Research, Ridgefield CT, September 14-15, 2012, Invited. • Ehrlich,M.A. ; Parhankangas, A., “If You Don’t Have Anything Nice to Say, Don’t Say Anything At All : How Blasting the Competition Affects Your Chances of Raising Business Angel Funding”, Babson College Entrepreneurship Research Conference/Babson College, Fort Worth, Texas, June 7-9, 2012. Peer Review. • Ehrlich, M.A., “Practitioner Demand Driven Academic Research Initiative”, FMA Annual Meeting/Financial Management Association, Denver CO, October 20-22, 2011, Invited. • Ehrlich, M.A., “Unexpected Consequences of Financial Innovation: Structured Investment Vehicles Case Study”, Leir Bubble Conference/Leir Center for Financial Bubble Research, Ridgefield CT, September 9-10, 2011, Invited. • Ehrlich, M.A., “Development of the US Mortgage Market”, Finance Graduation Lecture/MGruppen, Stockholm Sweden, October 1, 2010, Invited. • Ehrlich, M.A. ; Parhankangas, A., “How Entrepreneurs Seduce Business Angels”, Research Seminar/Stockholm School of Economics, Stockholm Sweden, September 28, 2010. Peer Review. • Ehrlich, M.A., “Innovation, Regulation, and Financial Bubbles”, Grant Presentation/ Leir Foundation, New York NY, May 12, 2010. Invited. • Ehrlich, M.A., “Evaluation of Business Planning”, Berkeley Center for Entrepreneurship/NYU, New York NY, April 30, 2010. Invited. • Ehrlich, M.A. ; Rapp, W., “Financial Bubbles”, Research Café/NJIT, Newark NJ, April 1, 2010. Invited. • Ehrlich, M.A., “U.S. Financial Crisis”, Finance Graduation Lecture/MGruppen, Stockholm Sweden, October 2, 2009, Invited. • Ehrlich, M.A. ; Parhankangas, A., “How Entrepreneurs Seduce Business Angels”, Babson College Entrepreneurship Research Conference/Babson College, Wellesley, Massachusetts, June 4-6, 2009. Peer Review. • Ehrlich,M.A. ; Chou, B.,”Financial Network Formation and Central Bank Policy”, EEA Annual Meeting/ Eastern Economic Association, New York NY, February 27 – March 1, 2009. Peer Review. • Ehrlich, M.A., Chou, B., .,”Financial Network Formation and Central Bank Policy”, SEA Annual Meeting/ Southern Economic Association, Washington DC, November 22-24, 2008. Peer Review.